John Kihm is a modern seafarer with about a million miles under his belt and tales of faraway places — India, Africa, South America — ready for the telling. He’s the skipper of an 800-foot Horizon Lines container ship that makes a regular run with general cargo between New York, Puerto Rico and Jacksonville, Fla. He spends most of his time on the ship’s bridge, 150 feet above the ocean, buzzing along at 24 knots with the turbine engines going full bore. 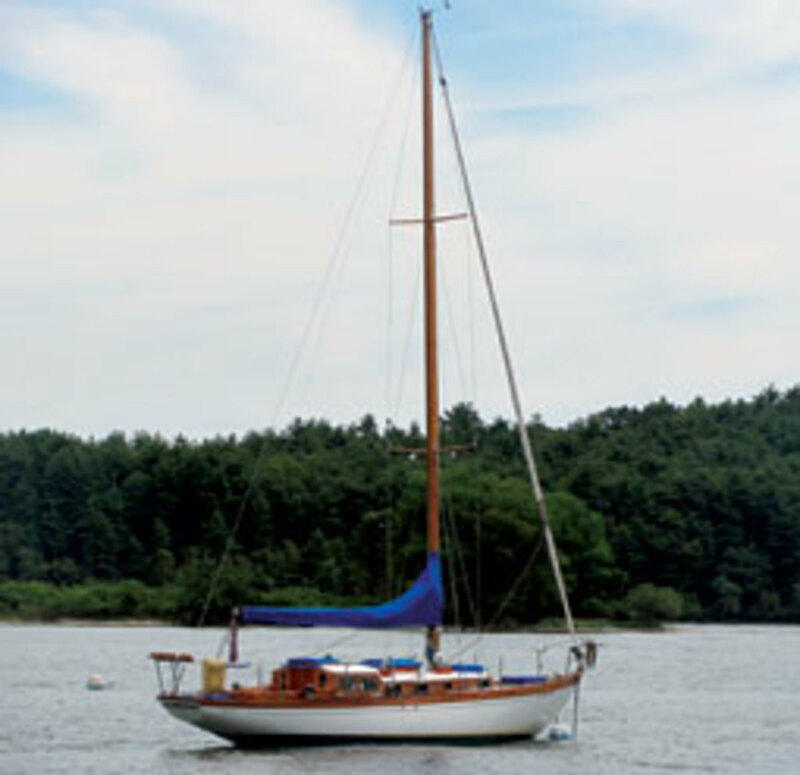 What he’d really like to be doing is idling away a New England summer afternoon with friends in a 15-knot southwesterly aboard his 35-foot sloop, Shenandoah, an old-timer from the 1960s that he has enjoyed for 14 years. Kihm’s boat is a 1965 Cheoy Lee 35 Lion Class, a bluewater cruiser from the Kowloon, Hong Kong, builder and designed by New Zealander Arthur Robb. 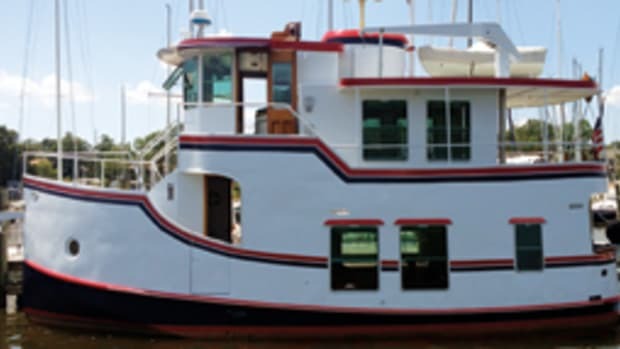 It has a fiberglass hull and cabin top, teak decking and brightwork cabin sides, cockpit coaming, toe rail and trim. It’s also practical. The big cockpit and comfortable layout were intended for safe family cruising. It has a full, deep keel, and the versatile rig features twin headstays and twin spreaders. “It’s a good-looking, sturdy boat built for offshore sailing,” Kihm says. He bought it for $9,000 and put it back into sailing shape. After 14 years, it’s as comfortable and familiar as a favorite pair of deck shoes. “I really haven’t changed much on the boat,” he says. The interior, with its 1960s-style layout, is all original, down to the bronze cabin ports and kerosene lanterns. He says the 35-footer is easy to handle with main and jib. 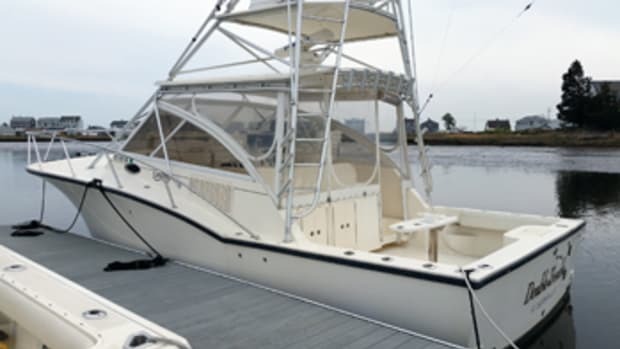 “With a good wind on a broad reach, it really lays down and settles in.” The slim hull, with its full keel, “handles the Long Island Sound chop with no problem. There’s no hobby-horsing and, with those long overhangs, she keeps both ends in the water. 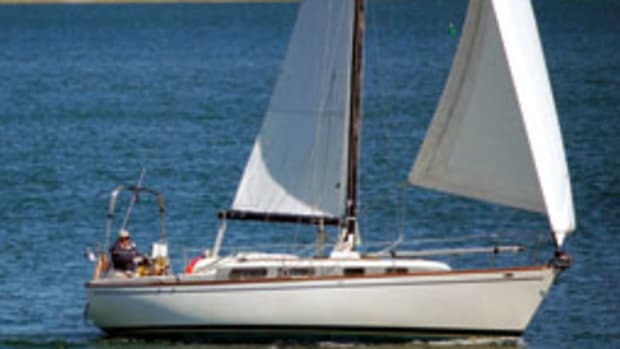 The big mast and mainsail generate a lot of power.” The boat also has a 28-hp, 3-cylinder Volvo diesel. 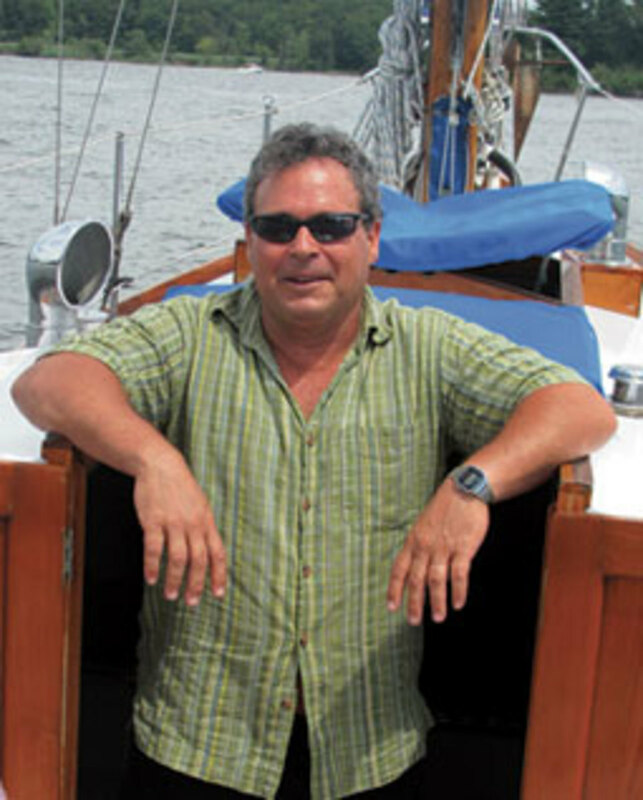 Maintaining the 46-year-old boat takes constant work, Kihm admits, and a sailing friend, Bob Gahran, has been a big help with upkeep. “I prioritize,” he says. “I look at the necessity, the time involved in a particular project, and try to get one thing done over the winter.” Upcoming projects include redoing the cabin sides and maybe converting the tiller steering to wheel to free up cockpit space. 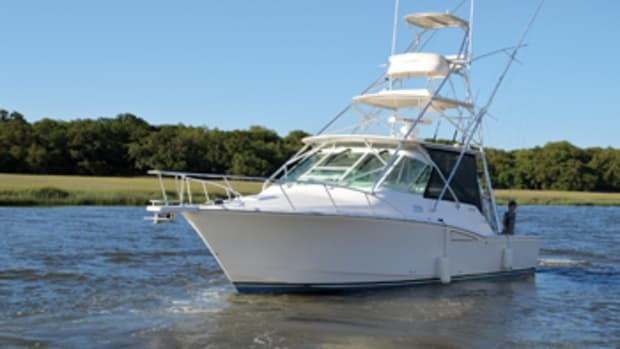 The Cheoy Lee 35 Lion features a slim hull for its length, with a beam of 8 feet, 9 inches, and more than 11 feet of overhangs, which give the boat buoyancy when heeling. Six thousand pounds of ballast help balance a 475-square-foot mainsail carried on a 50-foot Sitka spruce mast. 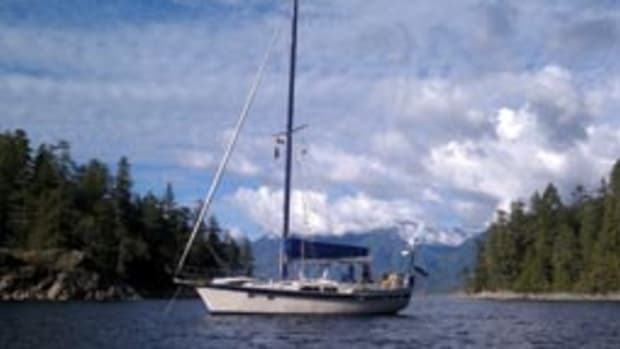 The sloop rig also includes a 275-square-foot genoa, along with a 175-square-foot headsail. Some 35 Lion Class models had twin headstays. 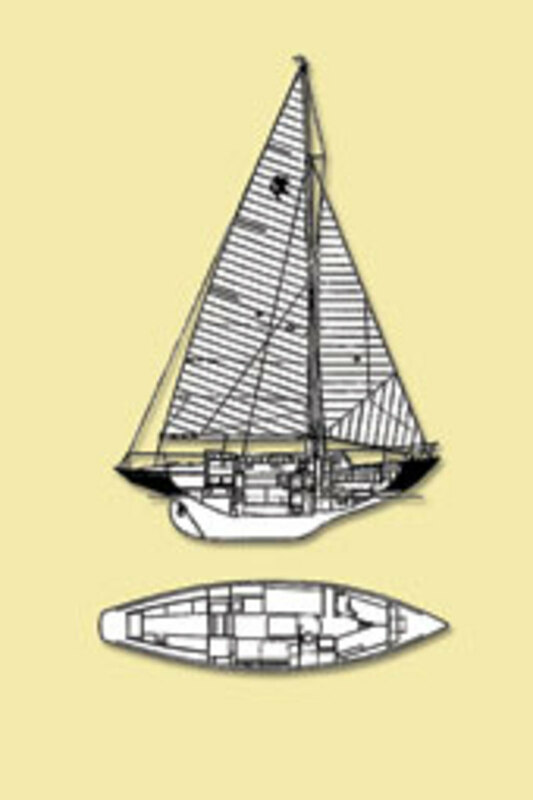 The spoon bow leads to a deep forefoot and the full keel with a keel-mounted rudder. The stern picks up quickly to a small, rounded transom that sheds following seas. The trunk cabin, with doghouse, is surrounded by wide side decks and an open foredeck, with ample room for sail and anchor work. Below, the galley is to port at the foot of the companionway, equipped with a sink, stove and icebox. The saloon has opposing settees — convertible to bunks — a drop-leaf table for dining and a navigation station to starboard, along with a port-side quarter berth. The enclosed, fully equipped head opens to the V-berth forward for privacy. Designer Arthur Robb, a native New Zealander, was well-known in the 1950s and ’60s for his offshore cruising sailboats. Cheoy Lee, the pioneering Hong Kong builder (though it was founded in Shanghai) began producing the 35 Lion Class in 1955, and more than 100 wooden hulls were built before the changeover to fiberglass in the 1960s. These early glass hulls featured teak decks over plywood, which often led to delamination problems. Production of the popular cruisers continued into the 1980s. 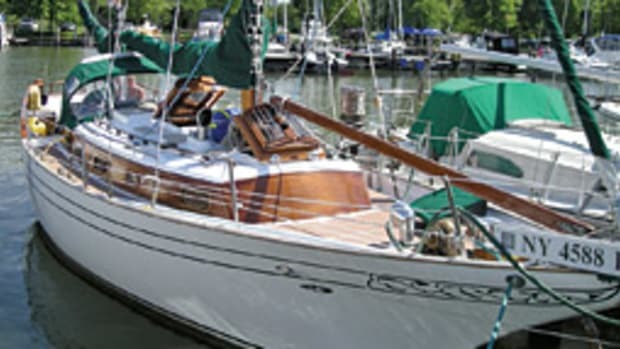 In 1965, a new Cheoy Lee 35 Lion cost $13,900. 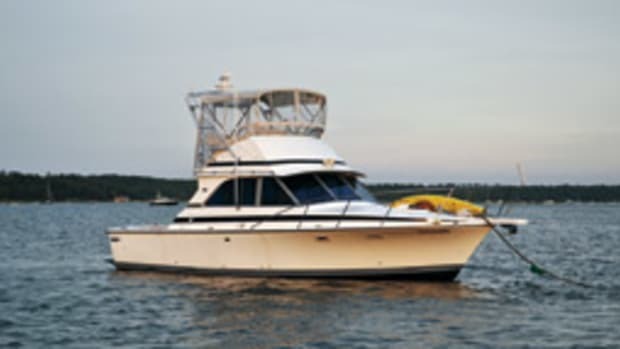 Used models today generally run from about $40,000 up to $85,000 for “showroom” boats, although there are bargains out there, too, especially if you’re looking for a fixer-upper. This article originally appeared in the February 2012 issue. 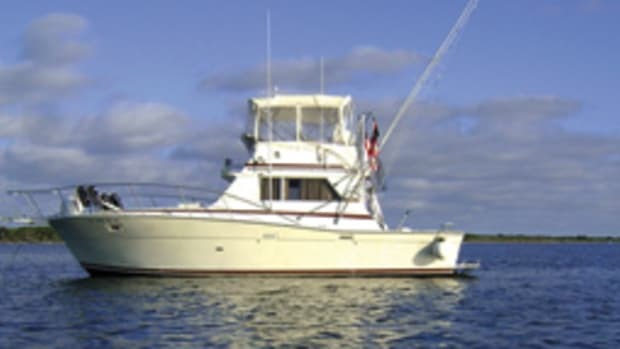 Click here to find more Cheoy Lee boats.